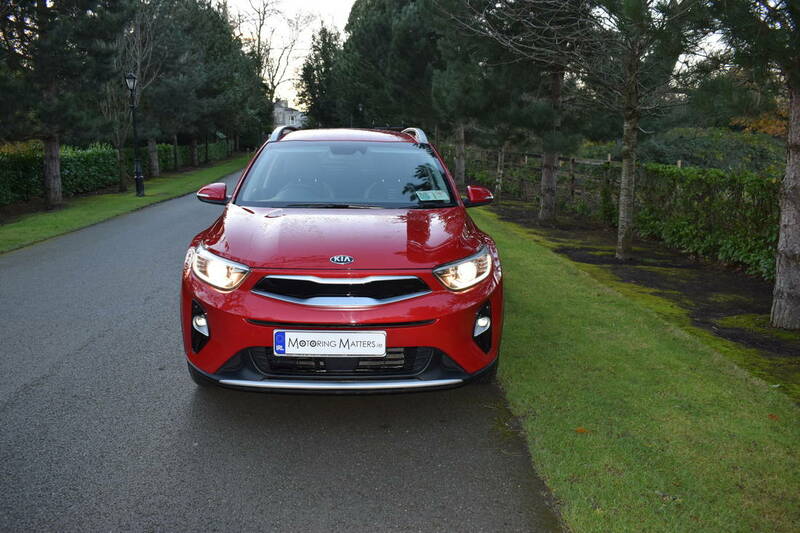 New KIA Stonic – ‘Speedy Tonic’ Compact Crossover. 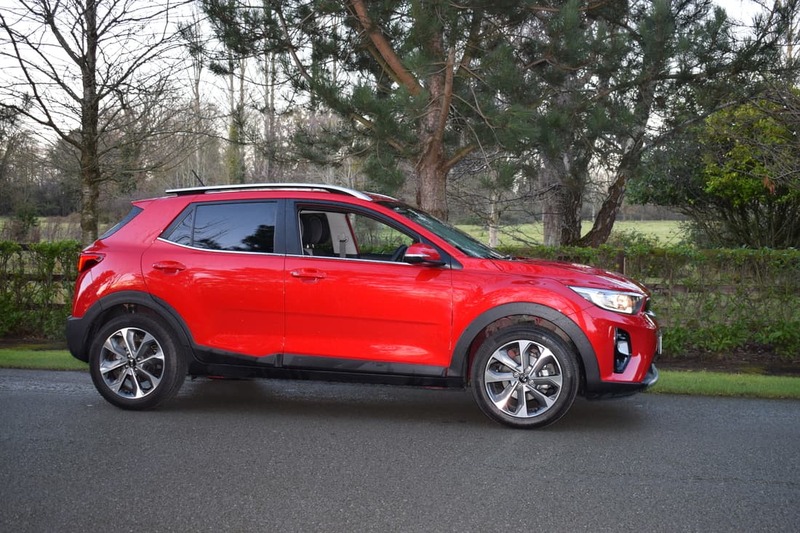 The new Kia Stonic is the Korean car manufacturer’s first offering in the compact crossover / small SUV market. 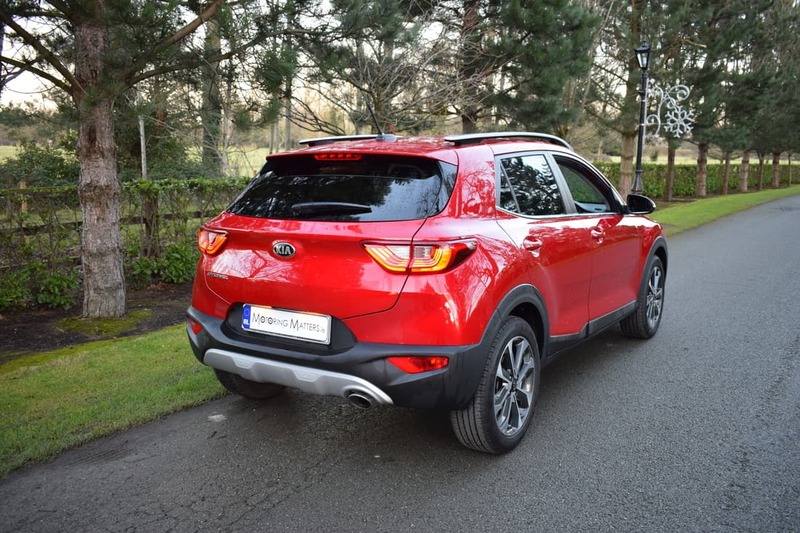 The Stonic sits beneath the Sportage and Sorento in Kia’s SUV model line-up, but while its bigger brothers feature the option of 4x4 drivetrains, the Stonic is front-wheel drive only. Kia also offers the Niro hybrid crossover, but that is bigger and more expensive than the new Stonic, while the Kia Soul crossover is available for buyers looking for something more iconic. Based on Kia’s Rio supermini, the new Stonic competes against some fashionable rivals such as the Renault Captur, Peugeot 2008, Nissan Juke, SEAT Arona, Citroën C3 Aircross and Ford EcoSport. The new Kia Stonic also has a sister-model/rival in the Hyundai Kona, so it is fair to say that the compact crossover party is pretty crowded. Although it shares the Kia Rio’s platform, the Stonic is a little bigger all round thanks to bigger overhangs and a wider track. The wheelbase is standard Rio though, and there’s only the one five-door body-style. 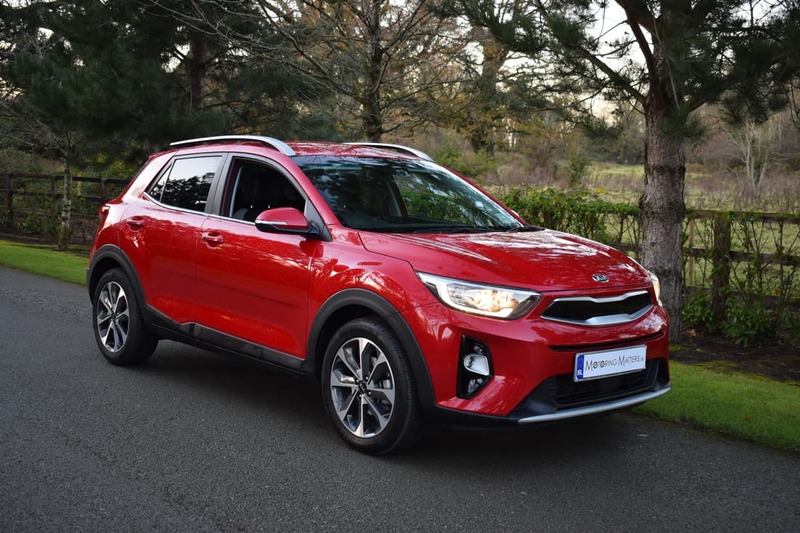 Petrol and Diesel engines are available in the new Kia Stonic, while the range is limited to either a 5-speed or 6-speed manual gearbox – depending on the engine chosen. 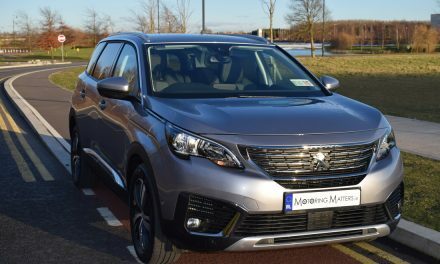 Petrol engines consist of a 1.0-litre TGDi (Turbo Gasoline Direct injection) with 118bhp, a 1.25-litre with 82bhp and a 1.4-litre with 98bhp. There is just one diesel engine available – a 1.6-litre turbo-diesel with 108bhp. 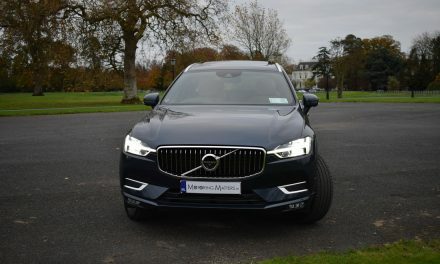 On an extra-urban driving cycle, the diesel engine consumes as little as 3.8 litres for every 100km driven, while the petrol engines offer fuel consumption as low as 4.5l/100km. 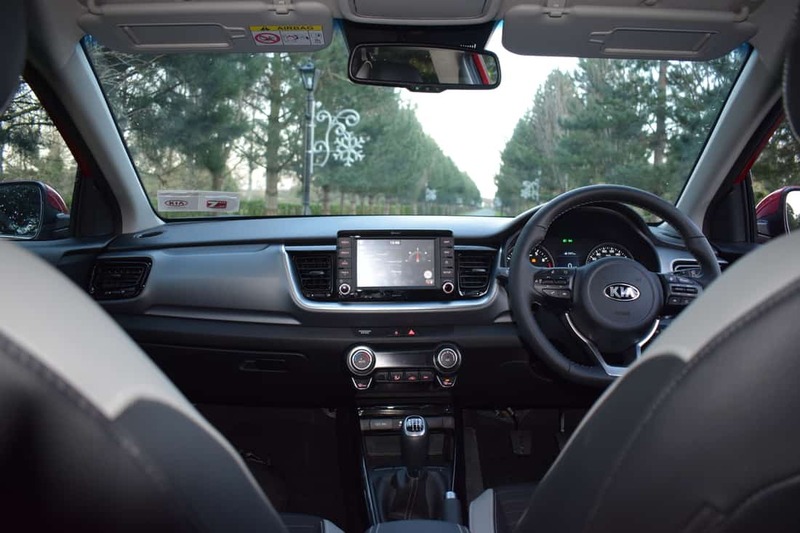 In order to simplify the model naming process, Kia have called the specification levels K1, K2, K3 and K4 – in ascending order of equipment and creature comforts. The K1 model comes with alloy wheels, steel spare wheel, silver skid-plate, body coloured door handles, daytime running-lights, high-gloss black facia, leather steering wheel and gear knob, tyre-pressure monitoring system, ABS, EBD, torque vectoring system, hill-start assist, cornering brake control, vehicle stability management, multiple airbags, tilt & telescopic steering wheel, split-folding rear seat, 7” LCD touchscreen, USB & Aux ports, Bluetooth with voice recognition, automatic cruise control and idle stop & go. 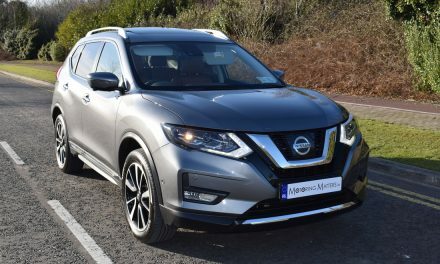 This impressive specification is enhanced further by opting for any of the 3 other models in the range. 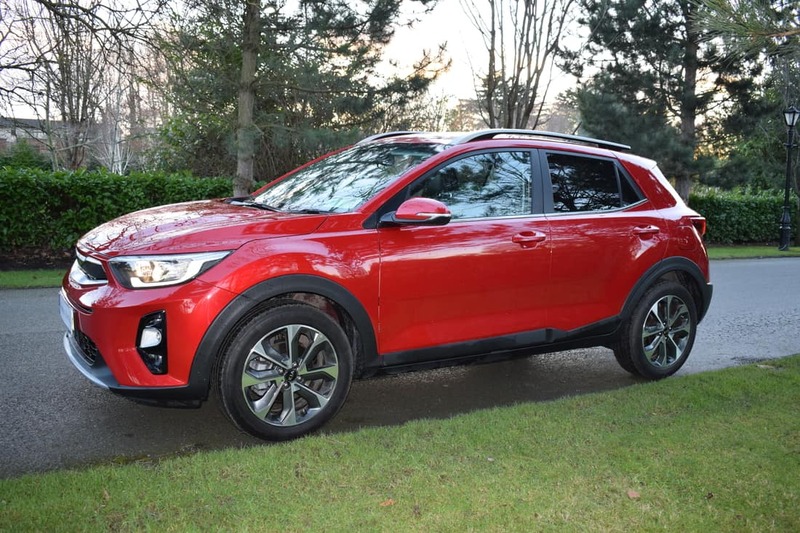 My test car was a Kia Stonic K3 1.4-litre petrol, which comes with a slick and precise 6-speed manual gearbox and was finished in stunning Signal Red metallic paint. In keeping with the Stonic’s ‘off-roader look’ pretensions the bodywork is more muscular and beefy than the Rio, while black plastic sill guards and wheel-arch trims, along with standard-fit roof rails, all help create a slightly more adventurous look, particularly when contrasted with bright paint. Interior and exterior customisation options are available, should a buyer want to stand out from the crowd. The new Stonic is competitive on the road, as engineers have re-tuned the Kia Rio’s suspension set-up to handle the Stonic’s higher centre of gravity. In doing so, they’ve also created a car that feels more agile, is composed in corners and handles in a controlled and orderly fashion. The steering is well weighted and offers good feed-back to the driver. Inside the Stonic you will find lots of practical touches. 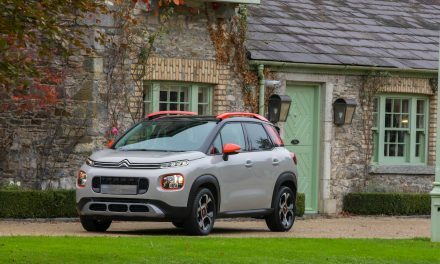 You get big door pockets up front, a pair of cup-holders and a seven-litre glovebox, as well as useful storage built into the central armrest and console. There are cup-holders for water bottles in the back too, and shopping hooks in the boot. 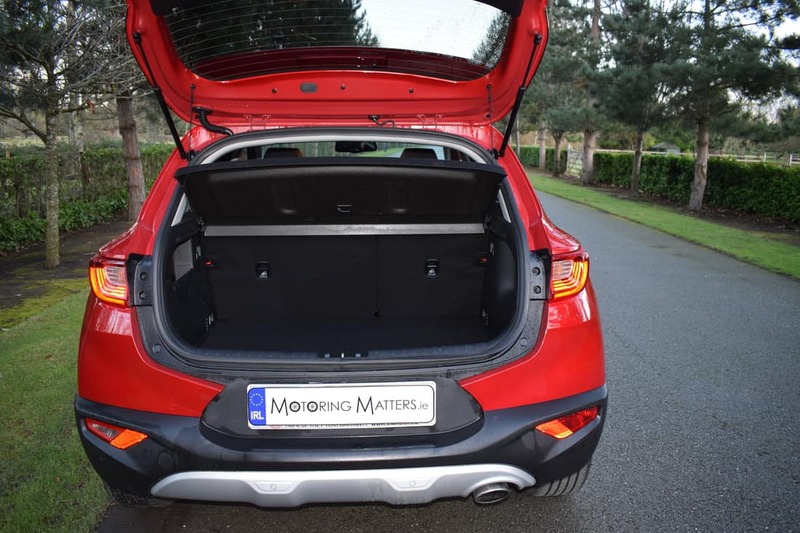 Thanks to a wide-opening tailgate, access to the 352-litre boot (with the rear seat backs in place) is trouble free. Fold the rear seat backs and this volume increases to an impressive 1,155-litres. Kia claim that the Stonic name is a combination of ‘speedy’ and ‘tonic’, so Kia’s new compact crossover could be the ‘tonic’ you have been looking for. 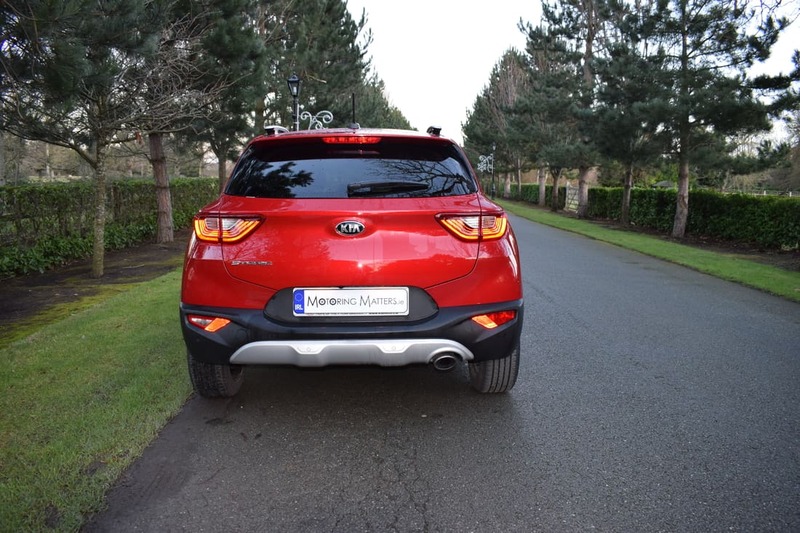 Prices for the new Kia Stonic start at just €18,599 (ex-works) for the K1 1.2-litre petrol model, while my test car is priced at a very reasonable €22,599 (ex-works). Kia’s confidence-inspiring 7-year / 160,000km warranty comes as standard.